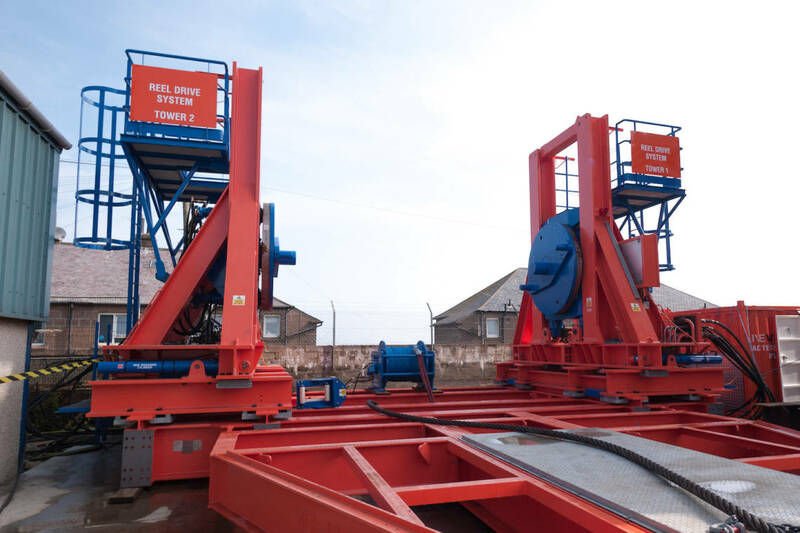 The MDL MRDS-300-80 Reel Drive System is a modular reel drive for the installation or recovery of flexibles, cables, umbilicals, wire rope or steel pipe products. 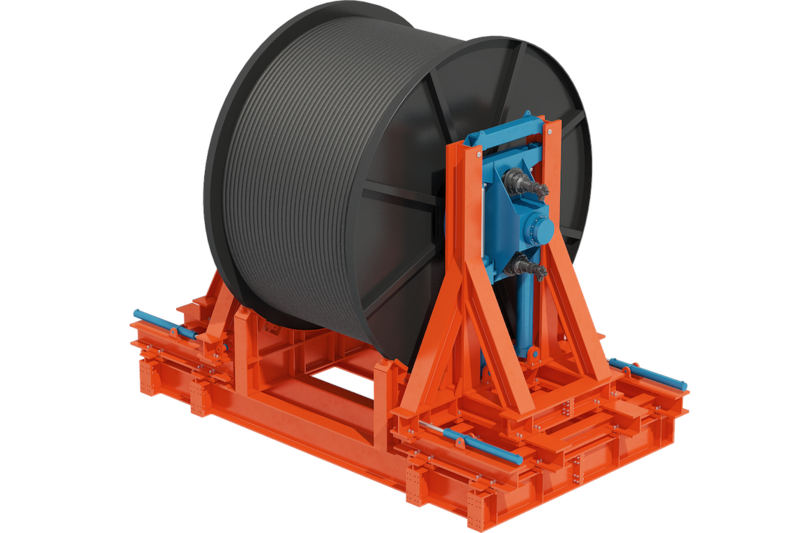 The system is suitable for reel diameters 6m (19.7ft) and below with combined reel + product weight of 300Te. Hubs driven by hydraulic motor/brake/gearbox drive assemblies with failsafe closed brakes. Track system option, so the towers can move between reels. Automated walking system to reduce downtime when moving between reels. The unit has reel lashing points built in to offset fixing to the vessel deck. The raising and lowering of reels is automated to reduce working at height requirements. ESD system for local and remote use. 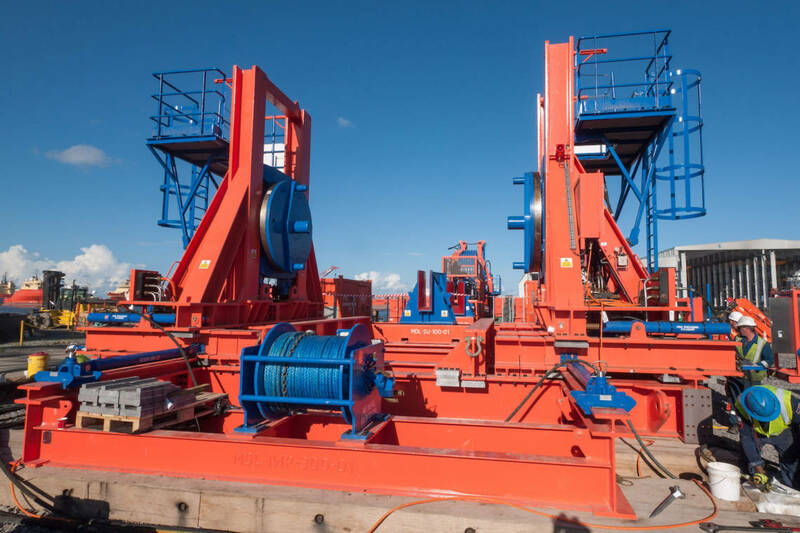 Ability to interface with other Maritime Developments’ equipment, such as tensioners. Road transportable or can be shipped by standard methods. Supplied with quick connect/disconnect hoses.